Todd Finkle, Pigott Professor of Entrepreneurship, gave his students a taste of an entrepreneur’s life with this assignment: Find a need, create a product, sell it for a profit, and donate a portion to the community. He gave them just five days. 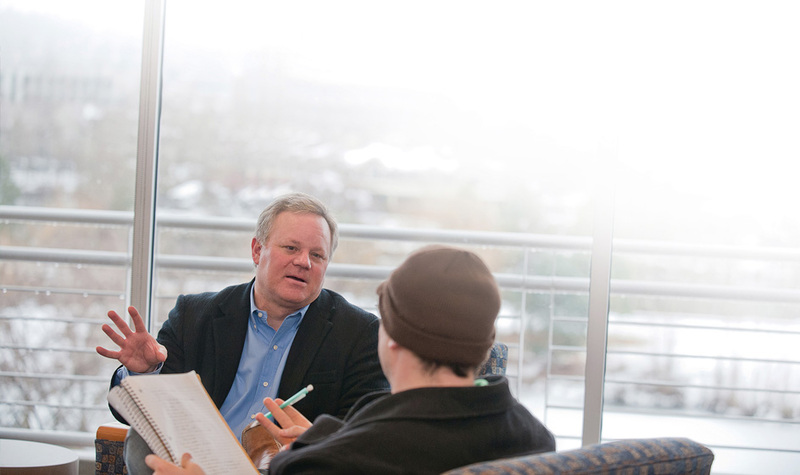 Entrepreneurship – and particularly a growing subset of the field, social entrepreneurship – is an emerging academic discipline nationally and at Gonzaga. Gonzaga’s entrepreneurship program recently was ranked in the top 25 of all schools in the country by U.S. News & World Report. There is a strong correlation between entrepreneurship and GU’s Jesuit mission of educating people to better the world. “Entrepreneurship is the process of seeking and finding new opportunities, taking calculated risks, using limited resources, and ultimately creating value – economic, social, environmental, artistic and/or cultural. Entrepreneurial leaders use their unique talents, gifts and resources to create value and contribute to the common good,” said Professor Paul Buller of the School of Business Administration. See the full story about ways in which Gonzaga’s School of Business Administration is redefining entrepreneurship through experiential learning.